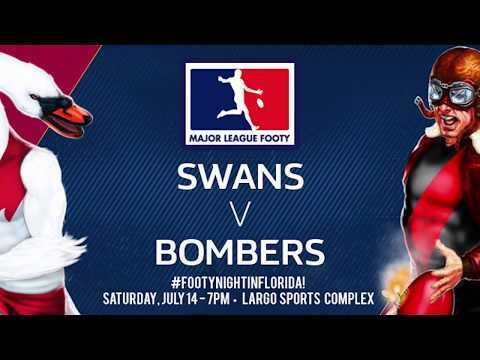 The St. Petersburg Swans leveraged five 10-point ‘super goals’ – four from Queensland gun Ben McIntosh – to overcome a brave effort by the Tampa Bay Bombers, running out winners on both ends of a double-header in Major League Footy Week Four, Saturday in St. Petersburg, Florida. Take away those 10-pointers, however, and coaches Greg Bray and Matt Elliott know there’s work to do to get the Swans playing up to their ability. Without the supers, Tampa Bay would have come away with a 9-point win in Game One, ultimately chalked up to St. Pete, 2.4.1.45 – 5.4.34. Game Two followed an eerily similar narrative, with the Bombers winning much of the action, only to fall victim to the Swans’ long-distance attack, 3.3.4.52 – 1.3.3.31. On a ground that warmed up fast from a cool start, action also got chippy during Saturday’s proceedings. 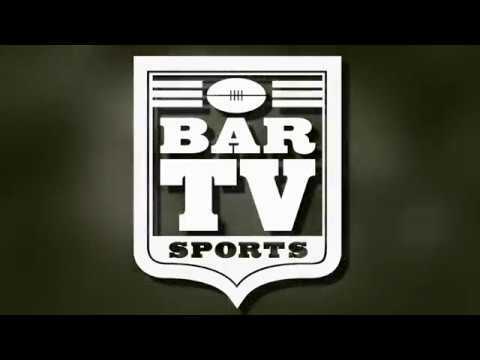 American footy veteran Patrick Bilder became the first-ever MLF send-off in Game One, disputing adjudication of the kick-out rule. Bilder was permitted to return for Game Two, nearly leading the Bombers to a come-back in the second half, before St. Petersburg pulled away. After a scheduled ‘BYE’ week during the Thanksgiving Holiday in the US, MLF Week Five sees the Suncoast Suns (0-0) tangle with the Florida Lions (1-1, 4 pts), Saturday, December 1 in a special 3 PM start.